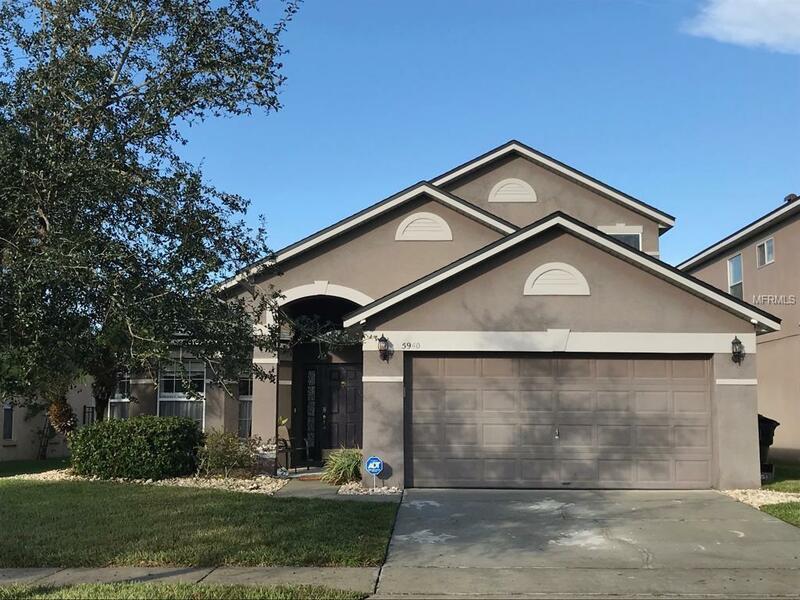 You could be the next owner of this immaculate home in Vista Lakes! This 3 bedroom 2 bath home with bonus room! The second you walk through the door, you will fall in love with the attention to detail. Foyer area with nitches an built in cabinets opens up into the open family room. Kitchen has an eat-in area. Corian counter-tops, 42" cherry cabinet. Dining area opens up into the main family room with vaulted ceilings and lots of room for entertaining. Large master bedroom with vaulted ceilings and sliders to the porch. Master bath features a garden tub, two sink/vanity areas and a separate shower stall and separate water room . Bonus room above the garage can be used as an office or an extra bedroom and is a huge size, Solar Panels included. The water view from the back porch is amazing. Community ammenities include a playground acrooss the street, and a full resort style pool, a lap pool and a childrens pool with a water slide and paddle boat dock!!!! This alone is a major attraction to this neighborhood. Tennis courts are also included in the HOA. This is your opportunity to take advantage of the Florida Lifestyle! Make this home yours, today!